How to measure your roof to insulate, ready for installing Ecohome Insulation’s high performance Solutions. 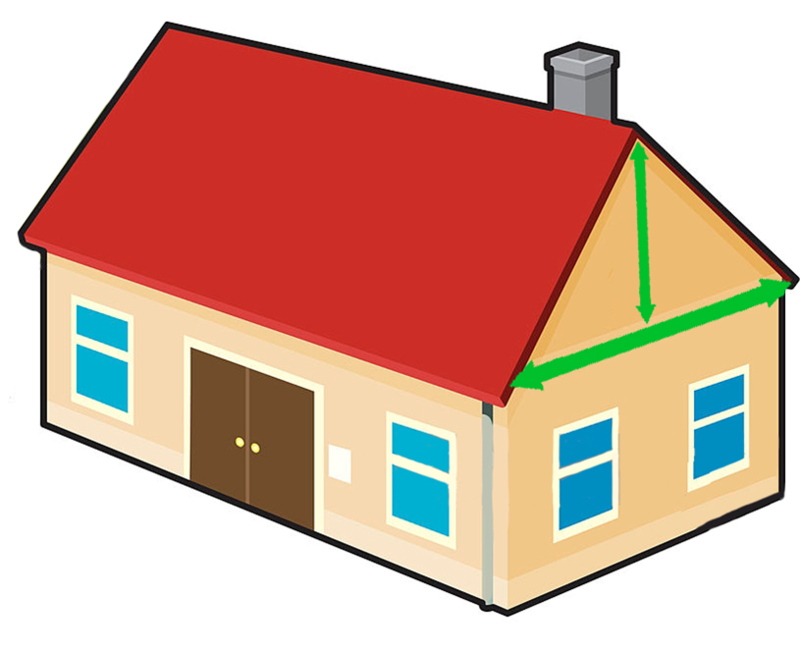 The most simplistic method to measure a pitched roof is as followed. Measure the length and the height (Eaves to Ridge) of the internal loft space. Times these two figures together. If your dwelling has two sloping roof sections, multiply this by two. The most effective way to measure a ceiling level / loft floor. Take the width of the loft space, then multiply by the length. This will give you the total area. Example – The length of loft is 8m, and the width is 6m. Common insulation materials for Loft Floor / Ceiling Level. The most simplistic way to measure a Gable End. Firstly measure the width along the loft floor. Then measure the height of the wall, from the loft floor to the ridge. Then multiply these measurements together, and finally divide by two. Example – Loft floor width is 6m, and height is 3m. How to accurately measure the rafter centers on your roof. Commonly, the centers range between 400mm & 600mm. 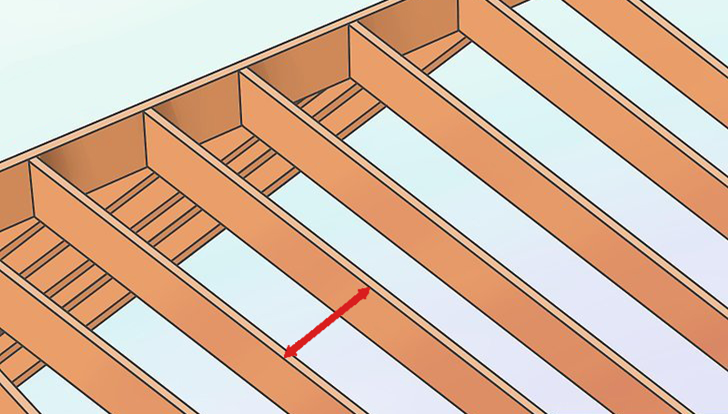 Start by measuring the left side of one rafter, to the left side of the next rafter along. This method can also be used on Timer Framed Walls & Loft Floor Joists / Ceiling Leve. 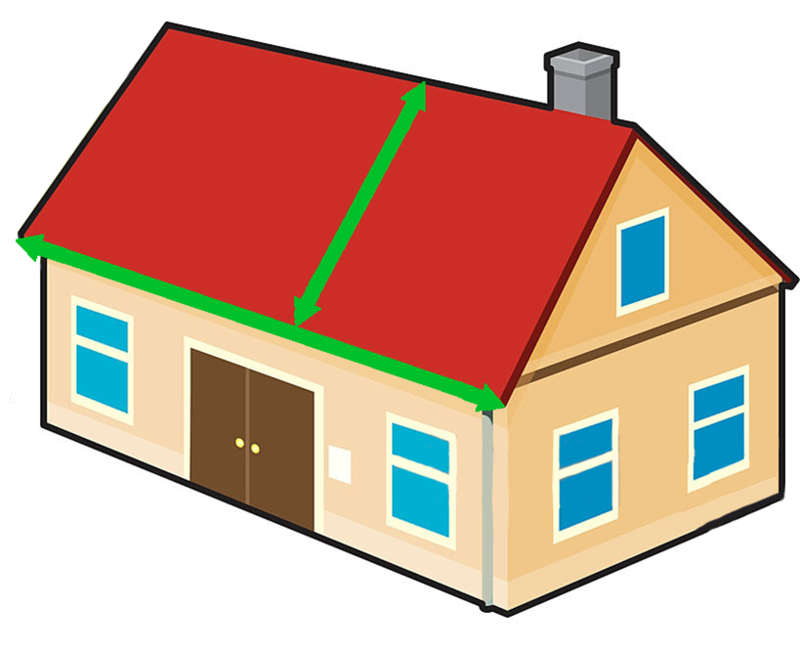 Do you have a roof project going through building control? Our Trade Partners Multifoil Insulation have a free online U-value calculator, with over 700 solutions! To visit – Click Here. All orders delivered to UK Mainland are carriage free when over £100 Ex VAT! Spend over £500 (Ex VAT) you will also receive a Free Heavy Duty Staple Gun & 5,000 Staples! If you require any assistance on calculating U-values, please call our Tech Team on 0114 323 0029.